AMD has been one of the prime manufacturers for x86 processors for both laptops and desktops in the consumer space. With a wide range of processors available from AMD, finding the one that has the exact parameters that you are looking for may not be that easy. The power consumption is one of the areas that may need attention. From that perspective, we thought of sharing the best Ryzen CPUs that have 65 Watts TDP. The consolidated list can help you arrive at the right choice rather quickly. 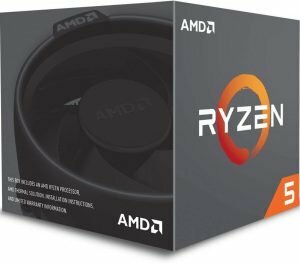 AMD has a wide range of Ryzen CPUs and as such one of the best options to choose the right ones based on power consumption is relatively easy. 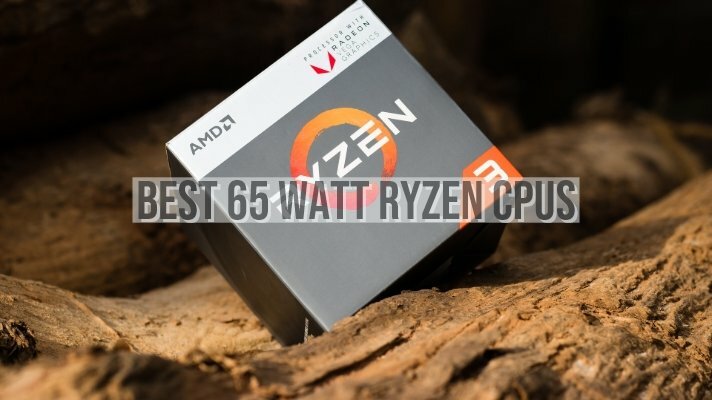 If you are looking for effective power management and want to search for the best Ryzen CPUs with 65-watt TDP, here is our top processor’s list to make it easy for you. To begin with, we will list out the CPUs that have been designed for entry-level applications. The processors come with a good deal of specifications in tune with the AMD standards. 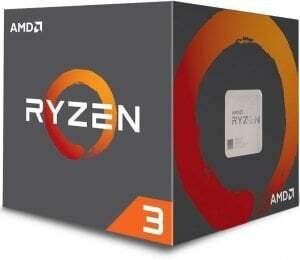 Designed both for gaming and computing, the AMD Ryzen 3 1300X can be the best bet for the entry-level processor. Equipped with the advanced next-gen Zen architecture, the processor has the advantage of AMD SenseMi technology. The processor comes with AMD Wraith Stealth cooler for an enhanced cooling experience. You have access to a 3.7 GHz boost that can further be extended to up to 3.9 GHz. The CPU cooler out of the box offers you an adequate cooling. You will not experience temperatures beyond 45 degrees. If you are impressed enough, you can gather more information from this link at Amazon. Another good option among the entry-level Ryzen processors, the Ryzen 3 1200 is unlocked and offers you an excellent quad-core performance. It provides you with the ultimate technology edge with its AMD SenseMi technology and the Zen architecture. You have access to a future-proof VR ready platform. The large 10 MB total cache should be efficient for most of the high-end tasks. The bundled heat sink performs well with an enhanced cooling effect. Since the processor is unlocked, overclocking should never be an issue. Want to know more about it? Why not check it out on Amazon? You may also check out the other options among the entry-level alternatives like Ryzen Pro 1300 and Ryzen Pro 1200 as well. Now that we have covered the entry-level options for the Ryzen processors with the 65 watts TDP, we will now move to the mainstream CPU options with similar power consumption. 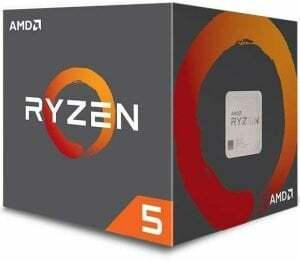 Designed specifically for casual gaming enthusiasts and other high-end tasks, the Ryzen 5 1500X is one of the excellent desktop processors you can opt for. Equipped with the 3.7 GHz precision boost tech, the processor comes with a Wraith Spire Cooler inside the retail box. The processor is unlocked for overclocking and enhanced performance. Ryzen 5 1500X comes equipped with advanced Zen technology. It has been considered to be the fastest (unlocked) quad-core processor. Want to check out the processor and its features? You can find more information here on Amazon. Are you a creator and a gaming enthusiast? The Ryzen 5 1400 can be your best bet for the gaming performance. Compared to the Ryzen 5 1500X, this one is a little less expensive, and thus you can invest the savings from this purchase for a better GPU. The Zen+ architecture should provide you with enhanced performance. The four core eight thread performance makes it an excellent option for enhanced productivity and faster encoding. Best suited for gaming with quicker instances and smoother frame rates. If you consider the processor is worth the features you are looking for, you may check it out on Amazon. The lower TDP at 65 Watts will ensure that there are reduced voltages, lower stock frequencies, and thus lesser thermal output. It lives up to the expectations with the performance and poses a stronger challenge to Intel’s range of processors. You can expect them to be the best in terms of performance, gaming and high-end computing. The AMD SenseMi and Zen technology ensure an ultimate technology edge in terms of performance. VR ready platform that can make your gaming experience interesting. Modern games have found to run effectively than the Intel Core i5. The low price point and the high-end performance should be the strongest point in its favor. You can find more information on this link on Amazon. How about the situation where you would want to check out the best performance for your desktops? Here are a few options that AMD provides you within its range of Ryzen processors. Best meant for the gamers and those in the creative industry, the Ryzen 7 1700 is your excellent choice for your unmatched efficiency. The built-in Wraith spire LED cooler ensures a smoother and cooler performance for your desktops. The processor has reviews that claim it to be better placed than the competitors like Intel Core i7. 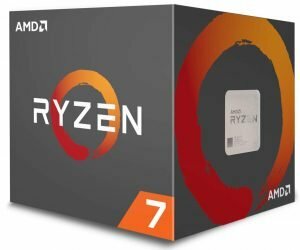 The entry-level processor in the Ryzen 7 series, the Ryzen 7 1700 is the cheapest eight-core processor. Though it may not be a good option for the faster single threaded applications, the lower TDP can help you reduce the thermal output. The processor can be your excellent option for the needs in multi-threaded operations like video encoding, batch photo editing, file compression, encryption, professional 3D rendering or scientific calculations. High overclocking can be the best option for making it suitable for some of the single threaded applications. Want to give it a try? You can check out the processor on Amazon here. Treated to be the best in the class processor for the highest level multiprocessing, the Ryzen 5 2600 should be your prime focus if you are into high-end gaming and computing. StoreMi technology ensures better load and boot times. An enhanced SenseMi technology for better machine intelligence and accelerated system performance. The Ryzen Master technology offers you the power of overclocking. The built-in Wraith Spire offers enhanced cooling performance. If you find the performance a better option, you can check it out on Amazon. We thought to compare the processors we have covered above in a side by side comparison for a better understanding. This can be quite helpful in arriving at a better decision in making the right choice. Well, those were the top Ryzen processors with 65 Watts TDP we could find. Of course, there are a few other options available, but we made it a point to choose a few representative options. A separated list with entry-level, mainstream, and performance oriented processors should help you arrive at the right decision in choosing the processors that exactly meet your preferences. Have you used any of these processors for your desktops? If you have, do share your thoughts and experiences with us.